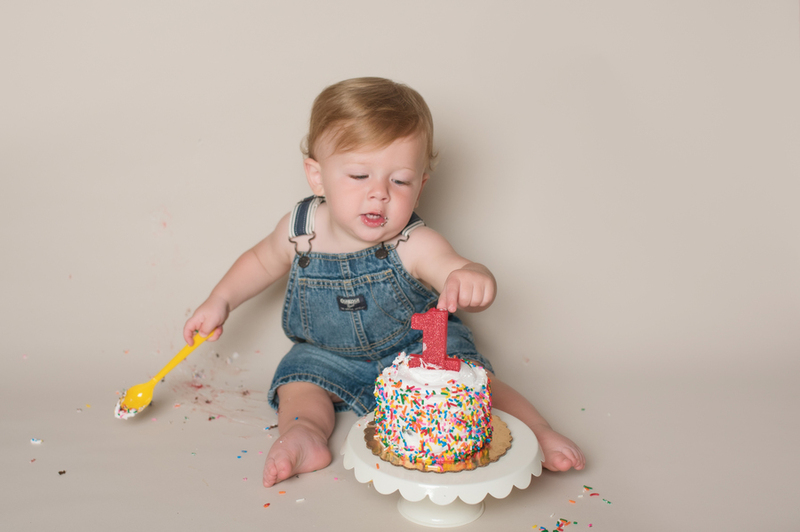 CT cake smash photographer – The 1st year in an baby’s life is full of miracles and growth. The 1st birthday is a great milestones in the life of a baby, and what better way to document it than with cake smash and 1st birthday portraits. A cake smash is so much fun, and can be done in a theme or with a simple setup that focuses on the baby with a cake. Cake smash sessions also include 1st birthday portraits, and can be done outdoors or indoors. As a CT cake smash photographer, I have been in business since 2006. Cake Smash sessions are done right around the baby’s 1st birthday. Cake Smash sessions are done on weekend or weekday mornings in the comfort of your own home. I pack my whole portable studio into my car, and I come to you! That’s right, you get stay in the comfort of your own home and avoid taking the baby out. I bring lots of props, hats, headbands and backdrops, and if you have something personal you would like to incorporate, I am more than happy to do so. Expect your newborn session to last approximately 30 minutes. Custom photography is an investment that will be valued throughout your lifetime and beyond. Fiona accepts a limited number of Baby Basics session bookings per month in order to ensure the highest quality attention and service to your cake smash session. Payments plans available. A Cake Smash Session is a 60 minutes session done in the comfort of your own home. After your session, you can choose an in-person image reveal and ordering appointment in your home, at which time you will be able to see printed proofs of no less than 25 custom edited images. You will also have the opportunity to see and feel the products and image display options offered. Alternately, you can choose to receive access to an online gallery with no less than 10-12 custom edited images for viewing and ordering. All prints, products and digital files are sold separately via collections or a la carte. There is a minimum order requirement of $350 with each session.